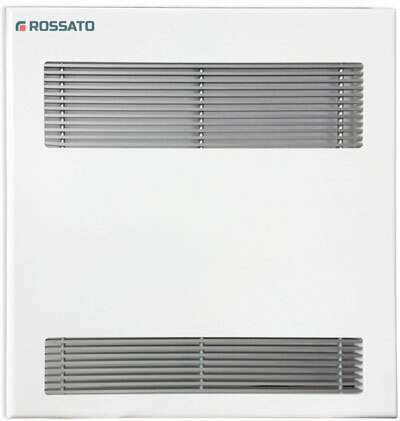 The fan on the wall or ceiling Rossato Group are used for heating and cooling systems for buildings with the highest energy savings. with air flow rate max. 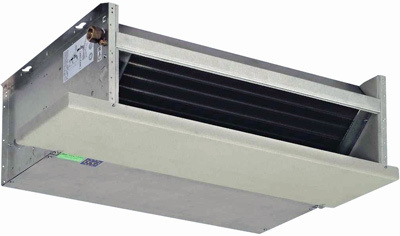 from 180 m3/ 600 has m3/ H.
with air flow rates, from 550 m3/ 1700 has m3/ H.
with air flow from 500 m3/ 788 has m3/ H.
with air flow rates, from 400 m3/ 1940 has m3/ H.
IRIS IN SLIM, recessed fan coil with an elegant and modern design. 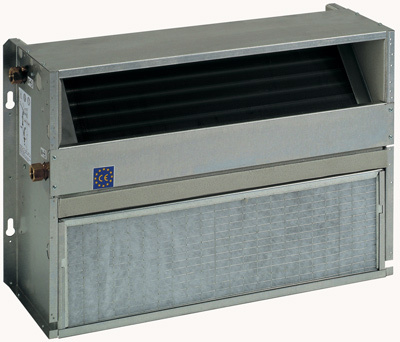 Available in 3 sizes with air flow rate max. 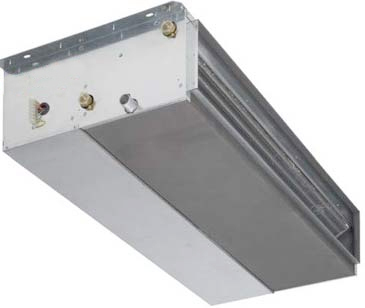 from 175 m3/ 418 has m3/ H.
Iris LV, high-capacity recessed wall-mounted fan coil unit, available in 6 sizes. 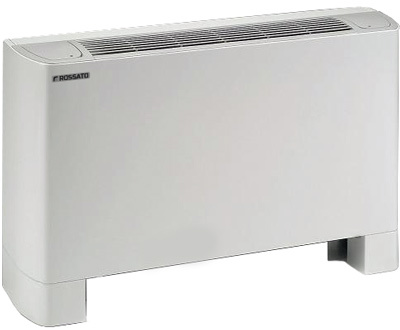 Iris CN, ducted fan coil, thickness of only 275 mm. 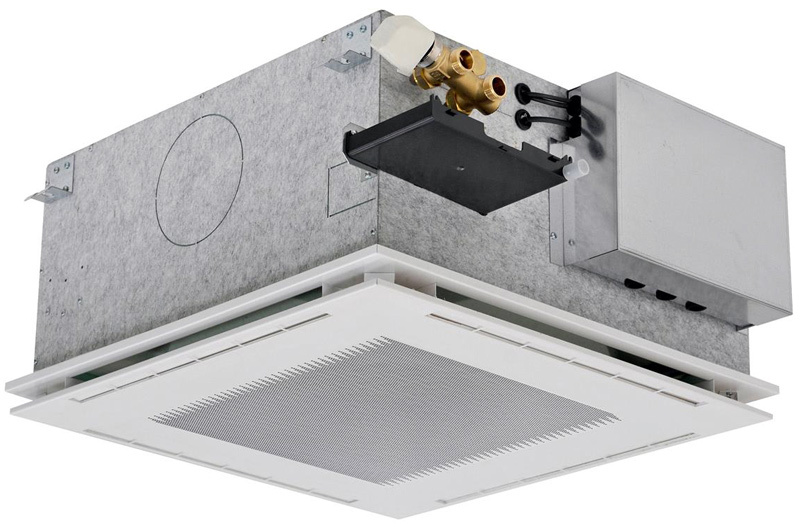 Available in 3 sizes with nominal air flow from 1450 m3/ 4200 has m3/ H.
Iris LH, recessed wall mounted high capacity fan coil unit, available in 6 sizes. 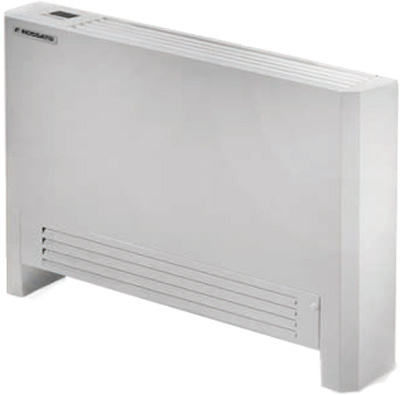 The fan coil systems are characterized by their versatility as they can be linked to renewable sources such as heat pumps, biomass generators and solar thermal systems. 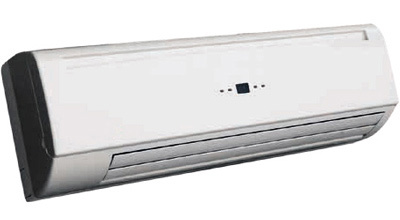 The innovative design, ease of installation and compact dimensions allow installation without problems in apartments and rooms also very large.